There’s something about watching gymnastics competitions which always makes you feel like you wasted your childhood. Sure, you were great at building dens, and you could play Bop It with your eyes closed, but just imagine if you could do the splits – or a handstand. Just think how many instagram followers you’d have if you could somersault into the air, or rolypoly along a wooden beam. It’s so tempting, you end up googling ‘adult flexibility classes’, and ‘how to touch your toes over the age of 17’. Before deciding it’s all too hard, and giving up in favour of eating some chocolate cake in bed instead. Which is why Kate Foster is so incredible. 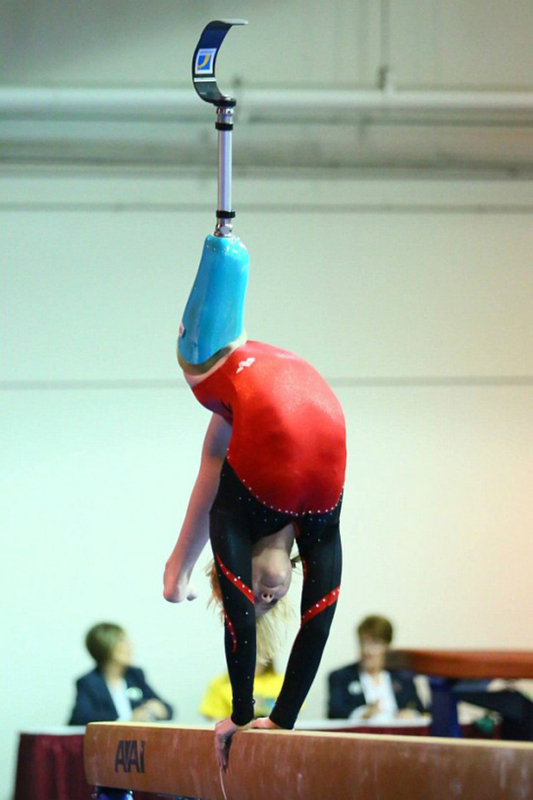 The 16 year old gymnast had her leg amputated four years ago after she was diagnosed with Leukaemia, but despite fears she wouldn’t be able to compete following the surgery, she’s defied doctors and continued cartwheeling her way to the top. And as soon as the surgery was over, Kate was focused on getting back to the gym. ‘It wasn’t, ‘What am I going to do now?’ It was, ‘What am I going to do when I get out of here and have my life back?’’ Most of the time she practises her routines with her prosthetic leg attached, she adds, but she’ll take it off if it’s getting in the way – working on her routines five days a week regardless, and continuing to compete across America.